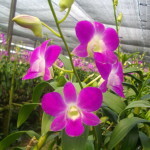 Our farms are located in Nakhon Pathom, Thailand. 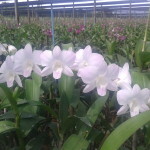 We have more than 1,000,000 orchid plants. As our business continues to grow we constantly increase our farming area. The farms are where all the magic happens. 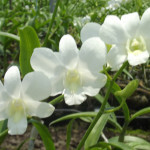 High quality seeds are germinated, planted and cultivated until the orchid flowers are ready to harvest. 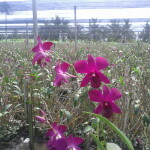 Once harvested all flowers are carefully packed in our packing house before departing for their destination. 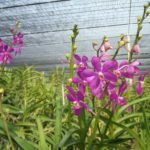 If you are planning a trip to Bangkok and would like to visit our nurseries, please contact us at md@thaiorchidsexporter.com to arrange a time for us to happily show you through. 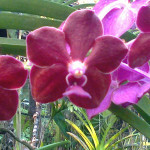 At Thai Orchids Exporter, we are always striving for top quality plants and flowers. 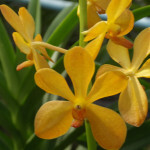 Our orchid laboratories are focused on the development of new hybrid orchids with longer vase life and bigger blooms. 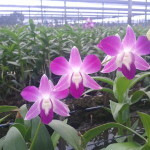 This lengthy hybridization process begins with meticulous selection and exceptional care. 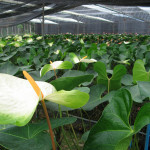 A new plant is bred, starting with a tissue cutting. 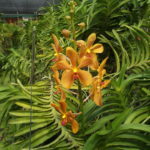 The future orchid plant is grown for 12 months in a flask. 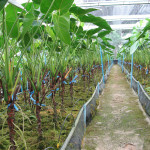 The plant is then transferred to a transport tray where it continues to grow for another 8-12 months. Now individual plants are transplanted every year until they reach maturity and begin to produce blooms. 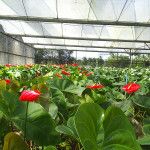 In three to five years this plant will produce award winning blooms.